HPRnet is growing as a community of experts across the country applying specialised expertise to enhance the performance of the warfighter. Universities from across Australia have answered the call to help Defence enhance the performance of the warfighter. The recent Human Performance Research network (HPRnet) call for submissions received 116 study proposals from 28 universities. This is nearly twice the number of submissions received when HPRnet was originally formed in 2016. Defence's selection panel, comprising representatives from Army, Navy, Air Force and Defence Science and Technology (DST), was impressed by the quality and breadth of innovative ideas set out within these proposals. The panel is currently shortlisting proposals based on their assessment against the published criteria. Those shortlisted will be asked to provide a more detailed submission for the final selection of studies to fund. It is expected HPRnet will more than double in the number of funded research collaborations from the current seven Army-focused studies to address human performance research priorities of all three services. Selected partners could receive funding of up to $500,000 over a period of up to four years beginning early in the next financial year. 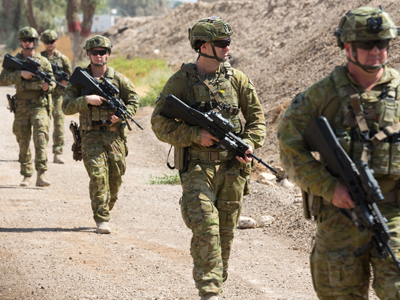 "The warfighter is at the core of ADF capability and HPRnet is helping the ADF maintain its capability edge through its people," Dr Nick Beagley, DST's Program Lead of Enhanced Human Performance said. "Given the number of submissions, there will be many worthy proposals that Defence will be unable to support in this HPRnet expansion, however we will be exploring opportunities to connect a number of the teams outside of this selection process with other Defence stakeholders who may be able to offer a path to investment and utilisation of their research for capability enhancement." "Although we would like to fund many more studies, it is clear HPRnet is growing as a community of experts across the country with an interest in applying their science to the emerging challenges and opportunities for the enhancement of human performance for Defence," he said.